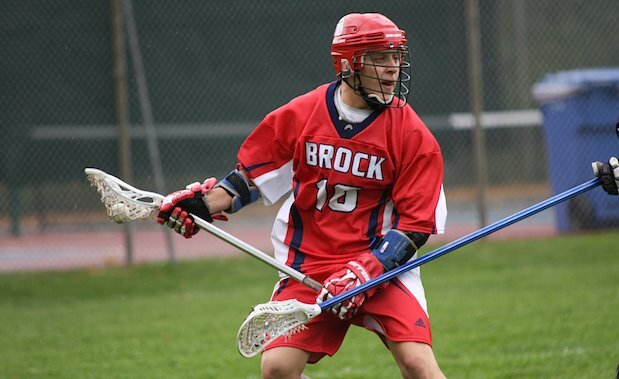 Kyle Davis (Brock University)-For the second time in two weeks, senior attackman Kyle Davis finds himself crowned In Lacrosse We Trust’s CUFLA first star. In two games, the Caledon,ON native netted 11 goals and added eight helpers for an astonishing 19 points. The Brampton Excelsiors product now sits first in CUFLA scoring with 60 points, second in goals with 32 and tied for first in assists with 28. Davis has almost tripled his career best season of 26 points in 2011. Freshmen midfielder made his presence felt as he wracked up 11 points in two games against Concordia last Saturday. The Burnaby,BC native was held off the scoresheet in his previous four games but the floodgates opened as he found the back of the cage three times while adding eight assists.